Yesterday I came across two thought-provoking articles on a common theme: the potential decline of fast fashion. What is “fast fashion”, you ask? My best friend Wikipedia defines fast fashion as follows: “a contemporary term used by fashion retailers to acknowledge that designs move from catwalk to store in the fastest time to capture current trends in the market”. Basically, fast fashion is clothing that is trendy and affordable, or “cheap chic”. Still not sure what “fast fashion” is? One word: H&M. Two more words: Forever21, Zara. That’s fast fashion in a nutshell! Fast fashion has come under fire for encouraging over-consumption of cheap clothing. It has also been accused of “cheapening” fashion itself! The first of the articles I read yesterday was an op-ed piece from Business of Fashion entitled “Making the Case against Fast Fashion Collaborations”. The author, Eugene Rabkin, claimed that fast fashion isn’t even fashion, at least in the more traditional sense of the word. Fashion used to be synonymous with craftsmanship and artistic expression; however, the fast “fashion” that is popular today does not meet either of these criteria – it’s mass-produced and frankly, unoriginal. Collaborations between fast fashion retailers and high-end designer brands, such as the soon to be released collab between H & M and Maison Martin Margiela, end up “watering down” that high-end brand. Although the claim that fast fashion isn’t “really” fashion seems a bit of a stretch, I can kinda see the author’s point. Fast fashion certainly seems to have altered the way consumers, especially young ones, see fashion. The focus of fashion seems to have shifted from quality and timelessness to convenience and trendiness. Of course, this focus could always shift back. In fact, this was the thesis of the second article I read yesterday, entitled “Trend Forecasters Calling for ‘Fast Fashion Fatigue” and appearing on Racked.com. Apparently, peeps are kinda getting sick of the fast fashion thing, and are starting to value quality over quantity once more. That’s good news for SeamBLiSS. As a company whose mission is to sell and promote handmade, one-of-a-kind, and custom- fit apparel, SeamBLiSS is of course glad that consumers are valuing craftsmanship and quality clothing once more. However, we realize that not everyone can afford to buy all custom, all the time! 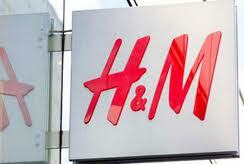 You might be passin’ by an H&M one day and decide to buy something cheap and convenient, and that’s ok! I think fast fashion is probably here to stay, even though it may decline in popularity. I also think that fast fashion items can be part of a “balanced” wardrobe, that includes both high-quality, elegant items and cheaper, trendier ones! Do you guys like fast fashion brands like Zara and H&M? Do you think they’re on the way out, or only growing more popular? Let us know in the comments.